Need a total end-to-end solution? We do that. 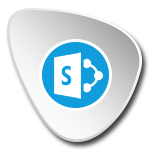 Have your own experts a​nd just want to host your implementation on our specialized SharePoint servers? We do that. Share Point Online is a market leading collaboration platform that has come of age. With SharePoint, you can develop your business collaboration solutions quickly and effectively with the rich set of tools, libraries, classes and controls that are available. The latest version of SharePoint introduces new ways to share your work and work with others, organise your projects and teams. You can also use SharePoint to uncover links to social networks and relevant information. What can SharePoint do for you and your business? Empower your people, your customers and your partners by providing them with the tools to interact, support and innovate. All of these rich features enable you to save time and money.